IRIS Sup' proposes the Humanitarian Manager training in “blended learning” to all those who can not take it in Paris. Targeting the same skills as face-to-face training, and in order to preserve its originality and efficiency, it will combine several online teaching methods and tools, as well as two face-to-face sessions in Abidjan, Ivory Coast. Students will work on projects with NGOs. It is accessible with a diploma of level bac + 4 or a VAPP (Validation des Acquis Personnels & Professionnels). The training takes place online. 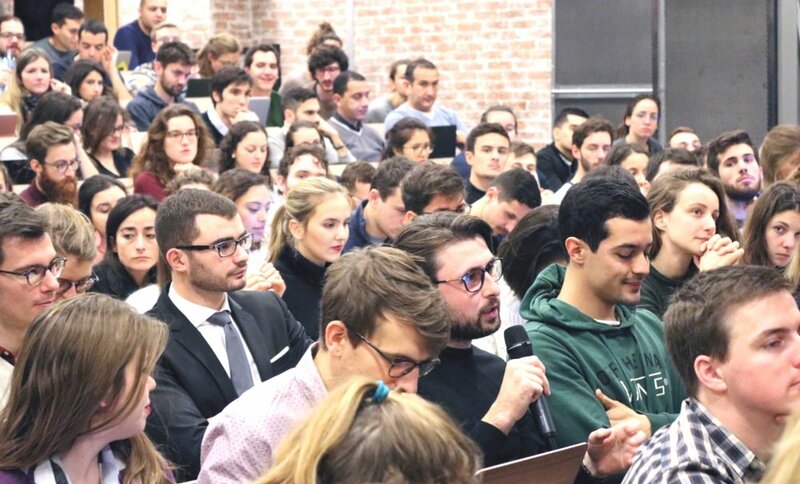 The students must have a sufficient internet connection to view the lessons, know how to use the digital tools (mainly Office suite) and be able to travel to Paris to take the final exams (at the beginning of July 2020) . The dissertation can be held via Skype. Students will have an LMS (Learning Management System) to view their courses, submit their exams and interact with the administration and their peers about their projects. The evaluation mode of the training and its schedule will be available online at the beginning of the training so that everyone can organize themselves, allow a regular working time to assimilate the courses and complete the work required. Students will receive follow-ups by email, phone or Skype. Training alongside your professional activities requires a long-term commitment. Please consider working two evenings a week and one day during the weekend for regular work (two days of actual work per week). The schedule that will be communicated at the beginning of the training allows students to better organize their follow-up of the training. Like face-to-face students, online students will work in groups on projects proposed by NGOs. November 18 to 22, 2019: launching session and course in Abidjan. Creation of project groups. Mandatory presence. From the end of November to the end of February: online training (including 10 weeks with 3 hours of virtual classes per week). Beginning of March: distance exams. From March to the end of May: online training (including 10 weeks with 3 hours of virtual classes per week). June 15-19, 2020: closing session and presentation of projects in Abidjan. 1. Starting March 2019, fill in the application form HERE and send it to IRIS Sup’ within one week. 2. Your file will be examined. 3. If your file is accepted, you will have to pass an interview (if needed by Skype). 4. If your application is selected by the recruitment committee, you will receive a contract. 5. Registration is effective when the contract is returned to the school administration, completed, signed and accompanied by payment or bank receipt. 4200 €. Deposit of 30% or 1260 € at the signature; balance of 70% or € 2940, due early February 2020. This fee includes: courses, correction of homework assignments and face-to-face exams and simulations, The Strategic Year and 4 issues of the IRIS journal in digital format, IRIS filmed lectures, access to the EcoSocPol CAIRN website (more than 200 journals), Gymglish subscription for the 2nd year, and personalized remote support. It does not include travel expenses or accommodation for face-to-face sessions (exams).